"I'm not the man you read about in the newspapers," he says. The politician and former I'm a Celebrity contestant will be taking part in a chat show in Great Portland Street for one evening only at The Albany Theatre. And he plans to set the record straight about his public persona. The papers also tells us that Lembit is to publish two books next year and that he was "pipped to the post" in his attempt to the Lib Dem candidate in the next London Mayoral election. That is not quite how I would put it. “I have been to Harborough and campaigned in town in support of the team before and I try and keep a particularly close eye on the East Midlands, especially since the last election when we lost a seat." 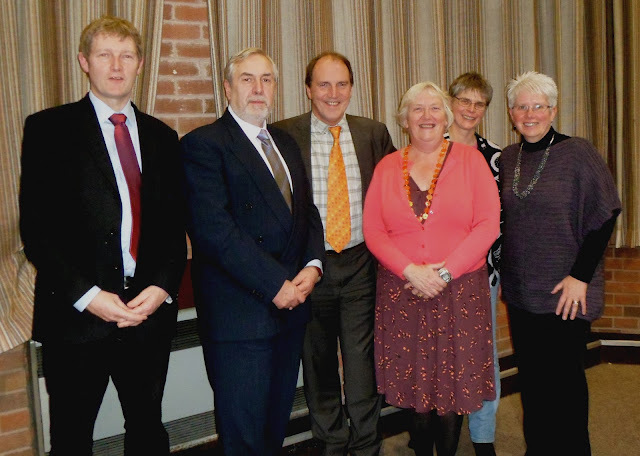 Simon is pictured with Lib Dem councillors Simon Galton, Phil Knowles, Barbara Johnson, Sarah Hill and Julie Simpson. 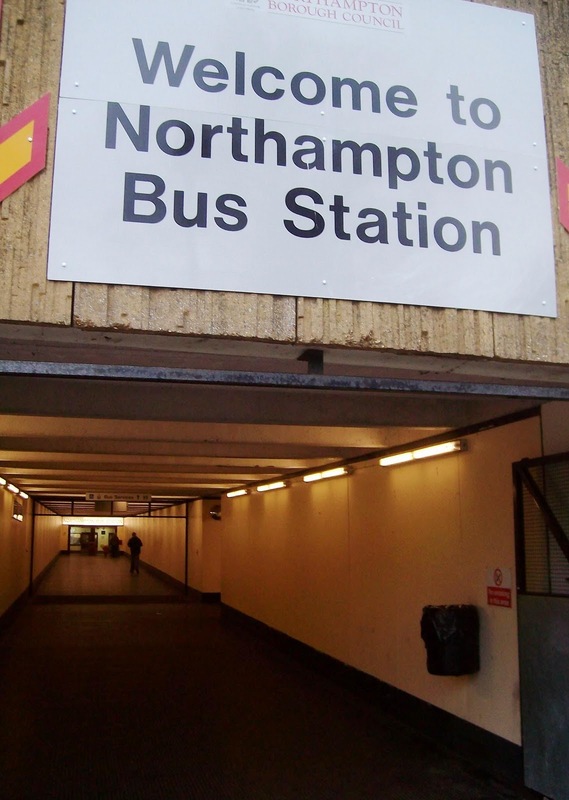 If you heard the sound of distant cheering the other day it was because it has finally been agreed that Northampton's Greyfriars bus station is to be demolished. The site it occupies will be used to extend the Grosvenor Centre, the town's main shopping centre. 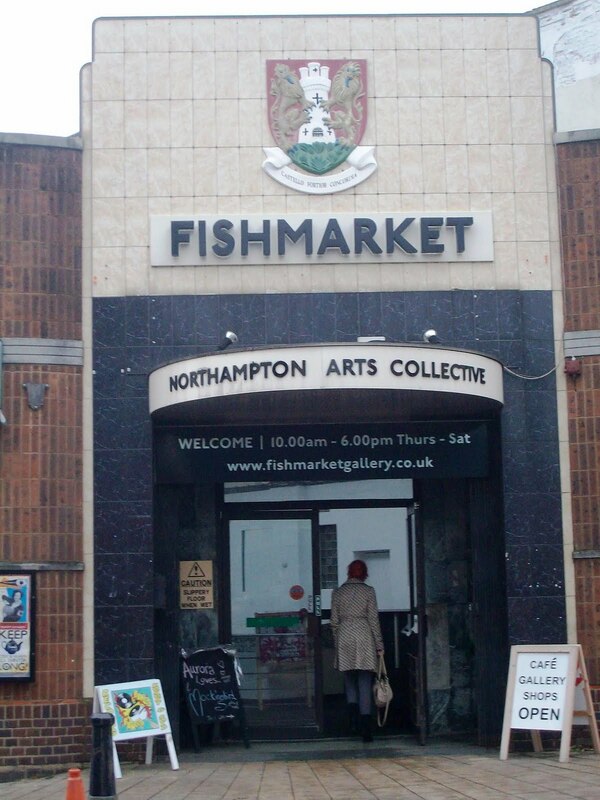 The new bus station will be built on the site of the old Fishmarket, which is currently occupied by an independent arts centre run by Northampton Arts Collective. I have long worried that older people find children and adolescents threatening. Given that a recent survey found 44 per cent of adults agreeing with the proposition that young people are becoming feral, it seems I have good cause. In part this fear arises from a more general decline in community, but I suspect it also a result of our enthusiasm for segregating the generations. And advanced opinion generally wants to increase that segregation by further raising the school leaving age and sending more teenagers to university. If this analysis is right then most of the remedies suggested, whether liberal (more youth clubs) or punitive (youth curfews), may make things worse because they are based on the idea that it is a good thing to keep the generations apart. But if the old fear the young because they do not meet them in normal social interactions, then increasing segregation will make them more fearful not less. So I got to thinking about how we might get the old and young to meet again. It would be a great if we could bring together youthful energy with older people’s need for help. This would enable the old to experience the young being helpful and do much to repair relations across the generation gap. And before I knew it I had reinvented 'bob-a-job' week. Scouts are to volunteer their services in a dedicated UK week of action for the first time almost 20 years after "bob-a-job week" ended. The Scout Association is to launch Scout Community Week from 14-20 May next year, encouraging its members to do work to help their local community. Matt Rooney, head of Nottinghamshire Scouts, told BBC Breakfast that the new week of action would be different from the previous one, in that scouts would no longer go door-to-door offering to do work in return for a small donation. "It's not about rattling tins and brushing leaves off the neighbours driveway. It is about local communities working with the Scouts to decide on projects that they can do to make things better locally. While having Scouts help in this way is an excellent thing, I doubt it will bring the generations together in the way that I would like to see. Colin always defended the scouts against leftish accusations of incipient fascism and the like. How could be not be loyal when the "prophetic book" was none other than Cousin Roddy's Kim? He describes the ideology of the movement as "the weirdest blend of ritual, non-sectarian religiosity, nature and beast worship, and a passion for peoples (Red Indian, Australian aborigines, African tribesmen) whom Christian imperialism had tried for centuries to destroy." He makes a distinction between militarism - useless to deny, he argues, what it is for which the scout should chiefly "be prepared" - and the para-militarism of the Boys' Brigade. The true military heir to Baden Powell (he writes in 1961) is Dayan. Fascist and Communist countries alike usually end up suppressing the scouts. MacInnes, the author of Absolute Beginners, is an impeccably left-wing figure, even if (as this passage hints) he was a kinsman of Rudyard Kipling, who gave the Scouting movement its mythology. When Baden-Powell’s Scouting for Boys was published in serial form groups of boys all over the country set up their own groups before any central organisation had been formed. Leslie Paul recalls how “With an astonishing perception they leapt at Scouting as at something for which they had been waiting, divining that this was a movement which took the side of the natural inquisitive, adventuring boy against the repressive schoolmaster, the moralising parson and the coddling parent. Before the leaders knew what was happening groups were springing up spontaneously and everywhere bands of boys, with bare knees, and armed with broomsticks, began foraging through the countryside. It seems Baden-Powell was not so much scouting for boys as chasing after them. But I repeat my question. If bob-a-job week does not bring the generations together, what will? 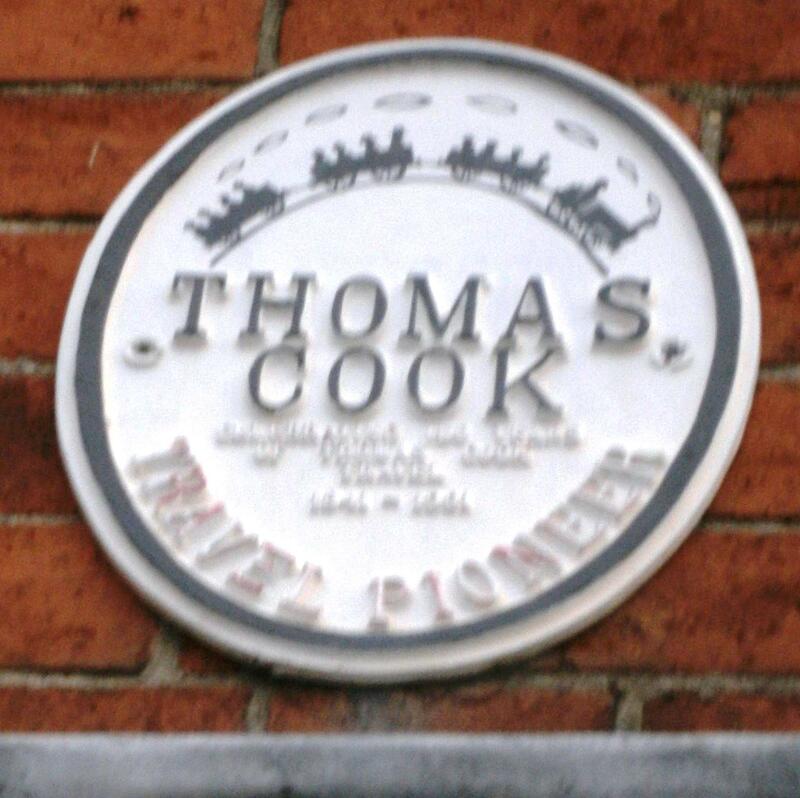 The other day, as shares in the Thomas Cook Group plummeted, I pointed out that Thomas Cook was living in Market Harborough when he first hit upon the idea of organising excursions. What I didn't know until I researched that post is that this fact is commemorated by a small plaque high on the wall above the entrance to Quakers Yard in Adam and Eve Street. It is next to the excellent Duncan Murray Wines. The moral is that I should look up more often. With thanks to Liberal Vision and the Institute of Economic Affairs. A lady called Lana Peters died in Richland County, Wisconsin, last week at the age of 85. This is the line along the quay that leads to the ferry terminal at Weymouth. It saw regular passenger services until 1987, and this film shows a special working from 1994. A BBC News report from 2009 says there has been talk of using the line, which is still largely intact, to bring spectators to the yachting events at next year's Olympics. But the local council, which now owns the line, does not sound convinced. Note too the use of the abomination "train line" in that report's headline. the parliamentary party was summoned to a meeting last week to be told that ‘external brand experts’ had been hired to try to boost the party’s prospects. 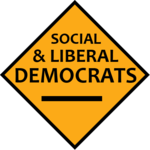 Party chiefs were concerned that the Lib Dem identity was being lost because of the coalition with the Conservatives. However, the latest advice from outside experts is that MPs should rely on "short-term themes, straplines and soundbites" to put forward their political philosophy in a succinct way. The experts used the example of Oxfam as a body which put forward a clear vision - to end world poverty and suffering. "To create the most innovative and socially mobile nation." My heart naturally sinks at talk of rebranding. I have been in the party long enough to be deeply sceptical of people from outside politics who believe their claimed expertise is just what is needed for the party to make a breakthrough. They were particularly thick on the ground during the Alliance years and then during the subsequent merger of the Liberal Party and the SDP. And in those years their claims were shown to be empty. However, my longevity in the party also means that the culture and emblems of the Liberal Democrats probably have less of an emotional pull for me. The preamble to our constitution, for instance, still reads to me like an uneasy compromise between two parties and not as the statement of a settled philosophy. And I have rarely attended Spring Conference, in part because it still feels like an new-fangled idea to me. Besides, we have already been rebranded many times. Take a look at the party website and you will see more aqua than orange, though I never recall that change was never discussed with members. So the party is being rebranded all the time and I would not go the wall for many current Liberal Democrat regimental honours. What can we find in today's news stories to encourage us? I would say that where the proposed rebranding exercise is right it is in the idea that the party lacks a clear and widely recognised vision. That has been a favourite theme of this blog since it started. Innovation and social mobility are good, Liberal things. But we must recognise that out local campaigning often emphasises the costs of innovation and that people are generally keen only on social mobility in one direction. Particularly at a time when the economy is barely growing, there will be losers as well as gainers. I would rather see an emphasis on liberty in our vision, though we have to recognise that Lib Dem MPs sometimes support other goods at the expense of liberty. And I would like to see it emphasise the small and the local and oppose giantism and centralisation. But it would be good to have a debate in the party about just what the vision that unites us is. At present we can sometimes behave like ideologues without an ideology. But a debate among the members is what is needed. A vision cannot be imposed from without by experts on branding, however eminent they assure us they are. One other point in favour of this discussion of our vision is that we might learn more about Nick Clegg and what he stands for. Entering the last leadership election as the bookies' and the establishment's favourite, he fought a favourite's campaign and avoided saying much at all. The time has come for him to take us into his confidence and tell us a little more about himself and what motivates him. Where there is no vision, the people perish. Here in Britain we know Split Enz because of this singer and because it is the band Neil and Tim Finn were in before Crowded House. But as the Wikipedia article on Split Enz (clearly a labour of love) makes clear, they had a considerable career in New Zealand and Australia before they came to Britain. 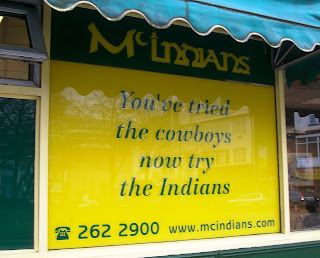 Because of that you might expect them to be a little of the cultural pace. But I Got You still sounds good and, poised between new wave and new romantic, it is 1980 encapsulated in four minutes. Don't give money to the poor in Africa: give it to the rich in the West. Alfred East was born in Kettering in 1844 and studied painting in Glasgow and Paris. Though he is little remembered today, he became one of the leading landscape artists of 19th century England. When he died in London in 1913 and his coffin was brought back to Kettering to lie in state in the art gallery which he had presented to the town along with many of his paintings. 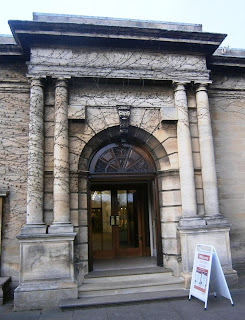 That Alfred East Art Gallery survives and I visited it today. There are rooms: one is devoted to the permanent collectiion - today there were some attractive John Pipers as well as paintings by East. The second room has displays by contemporary artists. At present it is devoted to a display of the work of Graham Underhill. Kettering, it turns out, has a considerable artistic history beyond East. The gallery itself was designed by another Kettering man, John Alfred Gotch. And his brother Thomas Cooper Gotch was a painter whose work you can also find in the Alfred East Gallery. And there are other Kettering artists from this era, like Frank Jowett and Walter Bonner Gash. 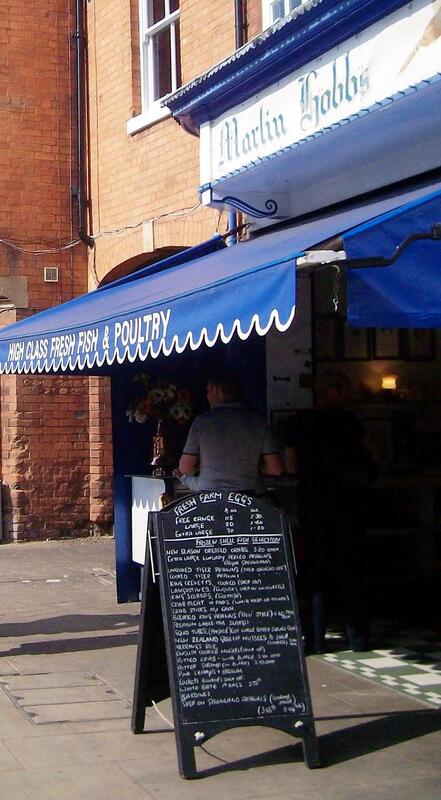 Whenever I visit the town I am left feeling grateful that I live in Market Harborough, but if you look above the shop fronts it is obvious that Kettering was once a prosperous town with architecture to match. It seems to have had a flourishing school of artists too. Lord Bonkers (new readers begin here and particularly here) lives, of course, at Bonkers Hall in Rutland. And we have seen that most literary scholars now accept that the model for Bonkers Hall is Nevill Holt, even though it stands just over the border in Leicestershire. And we have seen that, before it was a prep school and then the home of Carphone Warehouse tycoon David Ross, was the home of the Cunard family. And in the Edwardian era it was the home of Sir Bache Cunard, which means that Sir Bache's wife Maud (often known as Emerald) is arguably the model for the first Lady Bonkers. All of which makes Matthew Sweet's new book The West End Front - which has already been previewed on this blog - of great interest. Because Emerald Cunard, by then a widow, spent the wartime years at the Dorchester, her suite crammed with "Brobdingnagian" furniture retrieved from her bomb-struck house in Grosvenor Square. There she held court, and her dinner guests included Cecil Beaton, Ernest Hemmingway, Stephen Spender, Cyril Connolly and Isaiah Berlin. Isaiah Berlin, a regular at the same table, said that the most malicious game an Englishman could play was to speculate who would have collaborated if the Nazis had invaded. I find it difficult, however, not to suspect that a German victory would have left the conversation in Cunard's suite relatively unchanged. I have never been able to discover what became of the first Lady Bonkers - I have a sneaking feeling she is still somewhere in the attics at the Hall - but I cannot imagine her as a collaborator. She was more the sort to take on a Panzer single handed. Police swooped on a shopper after he wrote on Facebook about a plot to "murder" — unaware his intended victims were two LOBSTERS. Officers handcuffed the terrified suspect outside a fishmonger's. They had been tipped off by a worried web user who read of the man's plan to go into town "to kill" and "stab something in the neck". The cops grilled him for 20 minutes before he convinced them it was just a misunderstanding. 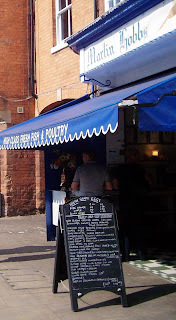 The man had earlier ordered the lobsters by phone from Martin Hobbs fishmonger's in Market Harborough. The Daily Mail adds the detail that the man was detained by four officers in bullet-proof vests. One or two of the commenters on the newspapers' websites suggest we take this story with a pinch of salt - or perhaps that should be a squeeze of lemon. Anyway, I shall be careful what I tweet before going shopping tomorrow. 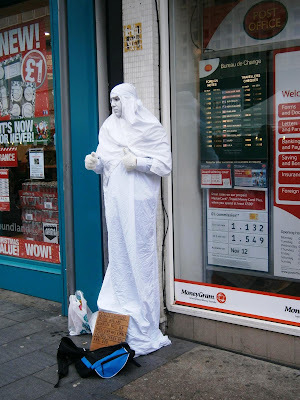 Rupert Matthews: Evidence for aliens is "pretty compelling"
Remember Rupert Matthews? The lecturer with the International Metaphysical University who believes EU Panzers could invade Britain and is about to become one of the MEPs for the East Midlands? This amateur film from 1939 records a trip north from London along the A1 - or the Great North Road as Lord Bonkers still calls it. The presence of an ARP banner and a barrage balloon suggests that war had already been declared, though an article on the development of Balloon Command suggests they had been deployed over London as early as 1936. The film starts at Baker Street and then Regent's Park, before leaving London. It shows Stevenage, Biggleswade, Eaton Socon, Buckden, Stilton, Stamford, Great Casterton and Grantham - though I can't spot Roberts the Grocer. "On Saturday morning the English Council will debate their budget for the year ahead which, for the first time in at least ten years, will not include a rebate for Liberal Youth membership." On Liberal Democrat Voice LY Chair Tom Wood explains why he thinks this is a bad idea. Redbrick, the University of Birmingham student newspaper, reports a visit by Lembit Opik. "We are not out of the woods yet, but this could turn out to be an example of good old-fashioned Lib Dem compromise, saving the Coalition from its more ideological instincts." Writing on the Spectator website, Martin Bright welcomes today's announcement of the Youth Contract. IanVisits ventures underground to photograph Aldwych tube station, which has been closed to passengers since 1994. 2012 will see the bicentenary of a certain novelist's birth. Londonist starts the celebrations early with a Charles Dickens pub crawl. 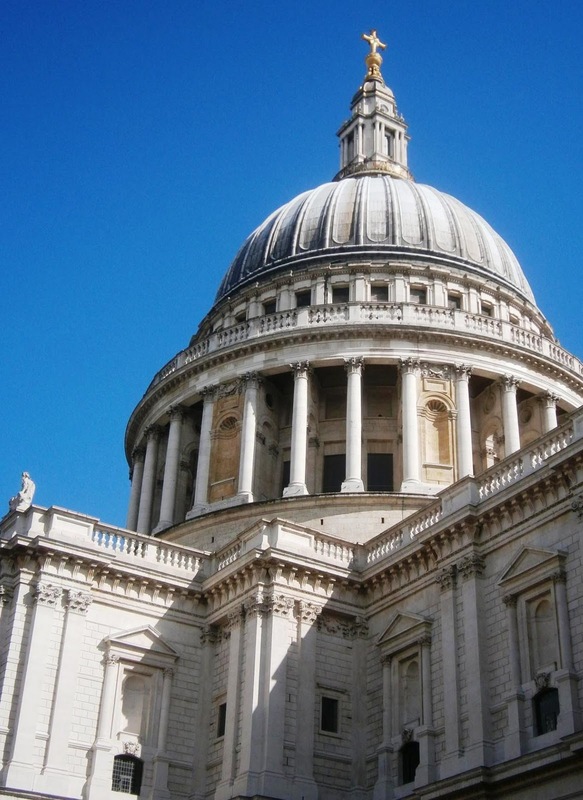 "… in the 13th century there is evidence of growing tension between the governing class and the poorer citizens, whose only means of civic expression were the folkmoots – mass gatherings which took place in St Paul’s Churchyard. When the churchyard was enclosed in the early years of the 14th century the folkmoot ceased to meet." Philobiblon has found a quote from 1928 with a remarkable contemporary resonance. Michael Gove: "As God says, and I think rightly..."
Malcolm Muggeridge once published a book called A Third Testament, but that pales into insignificance for heresy or chutzpah at the news that Michael Gove has written a foreword to the Bible. I am all in favour of children being familiar with the language of the King James Bible (though I would take its contents with a pinch of salt), but I think a compliments slip would have done, Michael. I think I would be tempted to put up two fingers to Mr Eyles too, but it is interesting to see an England where the M4 stops short of Reading. On Thursdays, when the main feature articles are written by Zoe Williams and Seumas Milne, the Guardian gives you the feeling that it has been taken over by children for the day. But on Monday it carried a terrific article by Aditya Chakrabortty. in his desire for sheltered money-makers, the Virgin boss differs from the rest of British business only in his desire for publicity. Look at our household names: take out retail, banks and commodities and the things you're left with bear names such as Wessex Water or Centrica or Arriva. In other words, they do things the public sector used to do – pump water or pipe gas or lay on public transport. Alternatively, they're outfits such as Serco, or Capita and they're bidding for contracts from the government; or they're engineers bidding for PFI projects. Now look at the big names in America or Germany: there are firms such as Google or Siemens. Good stuff, I recommend you to read the whole article. "I don’t no why I am writing a letter to you! I have been forced to write this letter by ISSP. To be honest I’m not bothered or sorry about the fact that I burgled your house. "Basicly it was your own fault anyways. I’m going to run you through the dumb mistakes you made. "Firstly you didn’t draw your curtains which most people now to do before they go to sleep. "Secondly your dumb you live in Stainburns a high risk burglary area and your thick enough to leave your downstairs kitchen window open. I wouldnt do that in a million years. But anyways I don’t feel sorry for you and Im not going to show any sympath or remores." The trouble is that this young villain has absorbed a view that the crime prevention movement tends to put over. That is, if you are burgled it is your fault for not having taken sufficient precautions. The world that the current anti-crime movement envisages is something like a cross between a secure psychiatric hospital and an airport departure lounge. There are no sharp edges, in case we hurt ourselves or someone else, and to own or display something attractive is an invitation to have it stolen. To escape this fate we need to start talking about morality again. We cannot go on treating every crime as a sign that something else needs to be banned or that the state has failed and therefore needs to spend even more money. At a pre-tribunal hearing in Birmingham yesterday, the 44-year-old compared his former village parishioners to characters from the television comedy The League Of Gentlemen. Later. 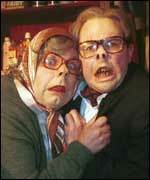 There is a fuller report, though it is missing the reference to Royston Vasey, in the Guardian. Today's events have sent me to my bookshelves and Bygone Days in Market Harborough by John Bland, published in 1924. Whilst upon the subject of Railways it would be well to mention that the late Mr. Thomas Cook, the founder of the firm of Messrs. Thomas Cook & Son, carried on a chair making and turning business in Adam and Eve Street. Mr Cook was a great enthusiast in promoting the cause of Temperance and soon after the Midland Counties Railway was opened for traffic in 1840, he walked from Harborough to Leicester to speak at a Temperance Meeting there. During his long walk he meditated on the possibilities of the new railway serving the cause he had so much at heart, and the thought flashed across his mind that if special concessions could be obtained from the Railway Company it might attract people to attend another large Temperance Meeting to be held later. When he made his speech at Leicester he introduced this subject and the meeting appointed him to go into the question with the Railway Company. Mr. Cook approached the Company the following day, and succeeded in inducing them to run a special train from Leicester to Loughborough, 11 miles distant, at a return fair of one shilling. This was the first excursion train, and led to the founding of the world renowned firm of Thomas Cook & Son. The book incidentally was printed in the town by Charles R. Knighton and published by Green & Co., a stationers that lasted into the 1980s. "The one thing missing from today's housing strategy will be an outright acknowledgment that lower house prices would be a good thing. It's still too much of a political taboo. But ministers know that it's exactly what the younger generation need." Good sense from Mary Ann Sieghart in the Independent. Index on Censorship examines government plans to ban demonstrations during the 2012 London Olympics. A Dutch MEP claims European politicians have been gagged over the sharing of passenger information with the USA, reports Computer World UK. "Tea drinking fills the public house, makes the frequenting of it habitual, corrupts boys as soon as they are able to move from home, and does little less for the girls, to whom the gossip of the tea table is no bad preparatory school for the brothel… the girl that has been brought up merely to boil the tea kettle, and assist in the gossip inseparable from the practice, is a mere consumer of food, a pest to her employer, and a curse to her husband, if any man be so unfortunate as to fix his affections upon her." Ms B-d's School of Venus reminds us that William Cobbett had no high opinion of tea as a beverage. The Daily draws together some of the tributes paid to Shelagh Delaney, who died on Sunday. "Two archaeologists ... collecting plants in Greenland, made the chemical discovery: 'Some of their samples were unusually rich in nitrogen-15, and subsequent digs revealed that these plants had been growing above long-abandoned Norse farmsteads'." BLDGBLOG speculates on they uses of plants in archaeology. Later. It seems he is really called Fenton. 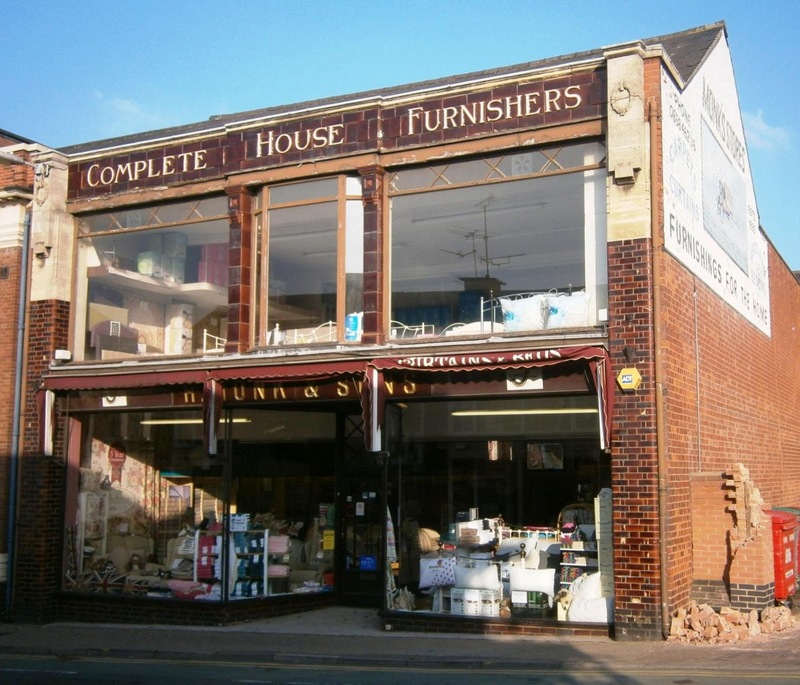 It is easy to take buildings in your home town for granted. Monk's furniture shop in Market Harborough has a splendid tiled frontage - I have been keen on such things since visiting Jackfield - and a loving maintained painted advertisement on its side wall. judging from today's evidence, it's clear that the Lib Dem brakes on the Tories are as effective today as they were back in the distant days of May 2010. In just three hours, we've had three different examples today of the way the Libs are constraining Tory ambitions. Those examples were the abolition of the 50p tax rate, the passing of more laws against strikes and the implementation of Lord Beecroft's proposals to make it easier for employers to sack people. Now don't get me wrong. I love upsetting the Tory right. Seeing my party stopping its cherished plans being put into practice gives me great pleasure. But there are two reasons why the Liberal Democrats need ambitions beyond this. The first is that by thwarting their right wing we are helping the Conservatives. The right, of course, are convinced that their ideas would be wildly popular. It is one of the paradoxes of politics that the more extreme people's views are the more inclined they are to think that the bulk of voters support them. This is why Conservative Home has called its campaign against Cameronism "majority Conservatism". But, as Michael Heseltine observed of Beecroft's ideas, "You don't want to make life rougher and tougher for large numbers of people you want to vote for you." So by blocking the loonier ideas of his right wing we are helping Cameron's popularity with the voters and thus his chances of winning the next election. The second reason why blocking the Tory right is not enough is that the Lib Dems should have positive achievements of which to boast from five years in government. So let's point to the taking out of tax of low earners, extra funding for poor pupils or some of the other policies from our manifesto that we have been told are being put into practice. Because if the voters are that keen on stopping the Tories doing too much come the next election, they may decide that the simplest way to bring that about is to vote Labour. A post on Martin Brookes's blog and the first comment reveal that the Occupied Times newspaper being published for the St Paul's protesters is edited by a Rutland man. Steven Maclean says he went to the Vale of Catmose college and Ferrers school, but I detect the influence of the Department of Focus Leaflets and the University of Rutland at Belvoir - and quite possibly the Bonkers' Home for Well-Behaved Orphans too. An article about Richard Branson's takeover of Northern Rock said Network Rail receives a subsidy of £5bn per year from the government. This should have said £3.7bn. Baroness Trumpington is the peer of the moment for her gesture in the Lords the other day. "I was sent to be a land girl, and I lived with the then Miss Stevenson, who married him in the end. I’d have lunch with the old boy when the family were there." She describes Lloyd George as "gaga in bits, and brilliant in others – but I think he was a bit scared of going to London because he didn’t like the bombs". However, age did not entirely wither the old man. "I was very young, but he had a certain reputation with the ladies," says the Baroness. Even in his 80s? "Especially in old age," she adds. a UK curry college that would teach British workers the secret of perfect pakoras a showpiece of the government's integration strategy to be published shortly. Pickles's "curry college", as it is being called, would see the government backing a school to train British people from all backgrounds to become chefs specialising in Indian food as an answer to the crisis in the £3.2bn curry industry triggered by the Home Office's ban on bringing in chefs from Bangladesh, India and Pakistan. 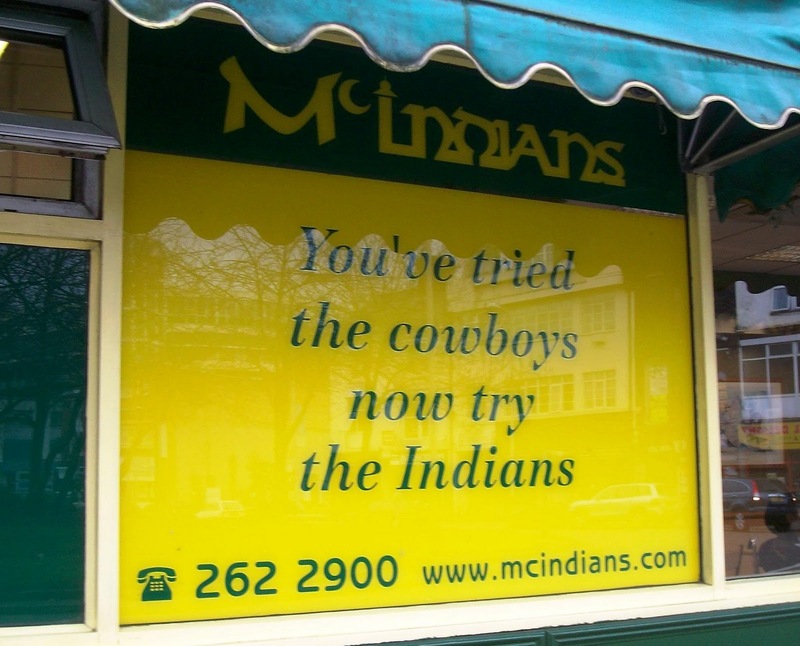 Back in February 2008 I pointed to earlier reports of this recruitment crisis in the "curry industry" and also to reports of high unemployment rates among young people with a Bangladeshi background. Well, Pickles' college will be open to people from any background - and quite right too - but it is clear who had this idea first. This, incidentally, is not the first time this blog has anticipated an idea later put forward by a leading Conservative. Well, Boris Johnson got there eventually. Incidentally, I was puzzled that Johnson's plan for a new Routemaster aroused such opposition among Liberals and the left. I suppose they think that everything good must bear the stamp of Progress, and the bus idea was tinged with nostalgia. Well done to Councillor Michael Wildgust, Lord Mayor of Nottingham. On Thursday the Mountsorrel branch in Leicestershire saw its first train in over 50 years. Read more about it on The Mountsorrel Railway. Are you more likely to be saved by volunteers than professionals? Three days ago I noted the rescue of a woman who had suffered an epileptic fit deep underground while exploring the old lead mine at Snailbeach in Shropshire. Since then the newspapers have been full of reports of the death of Alison Hume. She fell only 50 feet down an old mine shaft in Ayrshire, but died because senior fire officers showed “rigid compliance” with official health and safety procedures. Early today, at Snailbeach, volunteers and the emergency services saved the life of a young woman caver who had had a fall 300ft underground in an old lead mine. The dramatic rescue operation involving Midlands Cave Rescue, police, and paramedics, took six hours. The woman was brought up safely. Those who took part in this selfless act of going to the aid of somebody in distress inevitably put themselves at some risk. But they did it anyway. By a coincidence of timing, this comes hard on the heels of a fatal accident inquiry into a very similar incident in Scotland which ended up very differently. Alison Hume fell down a mineshaft and the emergency services dithered and dallied. Their risk-averse, health & safety first approach, led to delays. They waited until they got all the “proper”, approved equipment. Only then did they perform a by-the-book rescue. Mrs Hume died. There are dangers in relying purely upon media reports, but there seems to be a key difference between these two incidents. In Scotland, where Alison Hume died, the rescue operation was led by the statutory emergency services. At Snailbeach it was led by the volunteers of the Midlands Cave Rescue Organisation. The conclusion we should draw is one I have tried to show before - see this discussion of the gentler subject of arts festivals. The assumption that anyone who is employed in the public sector is bound to be better than a volunteer is simply unfounded. Underground rescues, like arts festivals and any other worthwhile human activities, are usually going to involve collaboration between volunteers and professionals. The question we need to ask is why you appear more likely to survive a rescue if it is the volunteers who get to you first. Last week's Sunday music video got a comment from the artist herself - Janis Ian. Sadly that cannot happen this week because this performance, recorded in 1991, took place only a few weeks before Steve Marriott died. As some commenters on Youtube note, he looks remarkably well, especially considering his widely publicised problems with drink and drugs. And it is a really good performance. We have seen Marriott in one of the great sixties groups the Small Faces and later he was to form Humble Pie with Peter Frampton. But Marriott was well known before the Small Faces. He played the Artful Dodger in Lionel Bart's Oliver! in the West End - hear him singing Consider Yourself - and then attended the Italia Conti Academy of Theatre Arts. Readers of this blog may recall seeing him in on the drums in Live It Up - other band members here include Heinz and David Hemmings. Steve Marriott was undoubtedly one of the great talents of sixties British music, but maybe a little bit of the stage-school brat always clung. Or maybe he just feared that it did. Incidentally, though Marriott cannot leave a comment I did once get one from Peter Asher. "A major characteristic of the Great Recession is the way that chronic and long-term problems finally lead to an acute crisis. The public sector profligacy in Greece or the high debt position of Italy are the consequence of decades of policy mismanagement. The US deficit is the result of long term political deadlock, while in the UK and Ireland the roots of the crisis lie in an obsession with property, rather than production, as the key to wealth." Cicero's Songs says our economic sins have found us out. Did Gladstone really chew each mouthful 100 times? Sandy Walkington investigates. "If the national movement to “reform” public education through vouchers, charters and privatization has a laboratory, it is Florida. It was one of the first states to undertake a program of “virtual schools” - charters operated online, with teachers instructing students over the Internet - as well as one of the first to use vouchers to channel taxpayer money to charter schools run by for-profits." Writing for The Nation, Lee Fang examines developments in American education. A Scottish Liberal marks the passing of Basil D'Oliveira and reminds us of the events of 1968 when his eventual inclusion in the England party led to the cancellation of the tour to South Africa and that country's exclusion from international sport. Another cricketer who died recently was Peter Roebuck. Jon Hotten reconsiders his books for The Dabbler: "It Never Rains played a wholly different role. It was the first book I’d read that was equivocal about the game, that made it okay to feel ambiguous about something that dominated your life. It was self-aware, knowing, courageous in its way." An Overgrown Path examines the links between folk music and far-right politics. 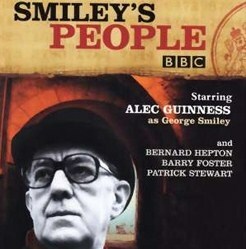 The BBC adapted Tinker, Tailor in 1979 with Alec Guinness as George Smiley. This year’s film of the book was a worthy attempt, but it suffers when compared with the earlier version. And before I go any further let me recommend the appreciation of that earlier version on Love and Liberty. Jerry Westerby, the central character of the second book, plays a minor part in Tinker, Tailor. In the 1979 adaptation he was played by Joss Ackland and the casting of such a prominent actor in this role suggests that the BBC may have had it in mind to make The Honourable Schoolboy with Ackland as Westerby and Guinness as Smiley. But most of the action of the book is set in Hong Kong and it was probably judged too expensive to adapt as a result. Incidentally, this year’s film rolled together two characters who are central to The Honourable Schoolboy – Westerby and Sam Collins – and cast an actor who was not remotely like either of them. The film-makers will have to unscramble that omelette if they want to adapt all three of the Karla novels. So the television adapters skipped The Honourable Schoolboy and adapted Smiley’s People, with Alec Guinness again the star. This second series is compelling viewing too, though somehow it never quite reaches the superlative level of Tinker, Tailor. Perhaps that is because the casting is not quite so satisfactory and because, as in the novel, one or two motifs, such as the visit to Connie Sachs, are repeated from Tinker, Tailor. One thing that interests me about Smiley’s People is that it reminds us how much the world has changed since it was written in 1979. The plot begins with the murder by the KGB in London of an elderly former Soviet general who has defected to become the head of an Estonian nationalist organisation. To the realists who have taken over the Circus since Smiley’s retirement – and to an extent to Le Carré himself – the Estonians are relics of the past and somewhat ridiculous. The future lies in détente with the Soviets. I take this as a true picture of the official view under Harold Wilson and Jim Callaghan’s governments of the 1970s. Today Estonia is an independent nation. And to judge by one of my favourite Lib Dem bloggers, Cicero’s Songs, it is a notably successful one. The moral, I suppose, that we have no idea what the future holds and that the people who believe history is on their side will undoubtedly turn out to be mistaken. The Corner Shop will be very much open for business from Saturday and will stock lovely, high-quality things for Home and Garden, Gifts for Children, Books, Something for the Chaps, Wartime Housewife branded goods, Seasonal Gifts and items from the Robert Opie Collection. There is also a section called ‘Limited Editions’ and this will have things that I find – at antique markets, sales, auctions, second-hand bookshops and so forth – that I think will be of interest. These may change on a weekly or even daily basis, so you’ll have to keep checking, as you just never know what you’ll find! The items for sale have been carefully chosen to fit in with The Wartime Housewife ethos of buying good quality, well-designed things that will last, that will be treasured and won’t end up in landfill after a couple of months. Talking of Wartime Housewife... I have been meaning for some time to direct all you Doctor Who fans to her post Are you my Mummy? Nick Clegg yesterday broke ranks with the Government over a ‘whitewash’ review into the lopsided extradition treaty that is being used to send Gary McKinnon to America. The Deputy Prime Minister has ordered a new inquiry into extraditions between Britain and the U.S.
His surprise move will raise hopes that Sir Scott Baker’s controversial report into extradition laws will be thrown into the bin. The report’s findings would lead to no change in extradition laws considered hugely unfair to British citizens. But the Tories will find it harder to accept the findings if they are opposed by their Liberal Democrat partners. The Mail goes on to explain that Nick has ordered the inquiry as Liberal Democrat leader and that it will be chaired by Ming Campbell. The winner is Tokyo Sexwale - one of Sepp Blatter's best friends. Yesterday brought news of the rescue of a woman from the old mines at Snailbeach. Today we learn from the Shropshire Star of the discovery of a previously unsuspected cave in Bridgnorth that "could be hundreds of years old and may once have been lived in". 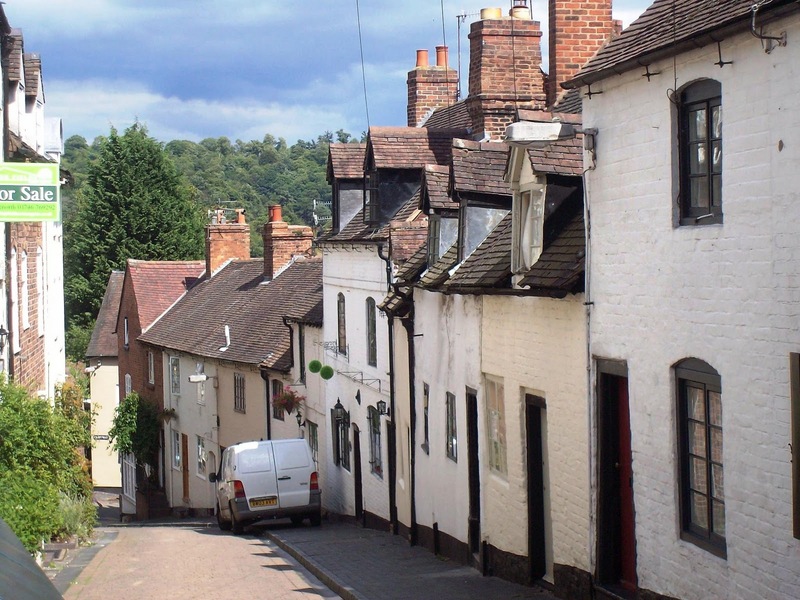 The Cartway is the steep, curving Bridgnorth street that packhorses once used to bring goods from the wharves of Low Town on the Severn to the top of the cliff and High Town. It is shown in the photo above. For more on West Midland troglodytes see this 1958 film. Safe water and sanitation are critical. Without them, life is in crisis. Read more at WaterAid. Jo Swinson, Liberal Democrat MP for East Dunbartonshire, has contributed a chapter to the New Economics Foundation paper The Practical Politics of Well-being. 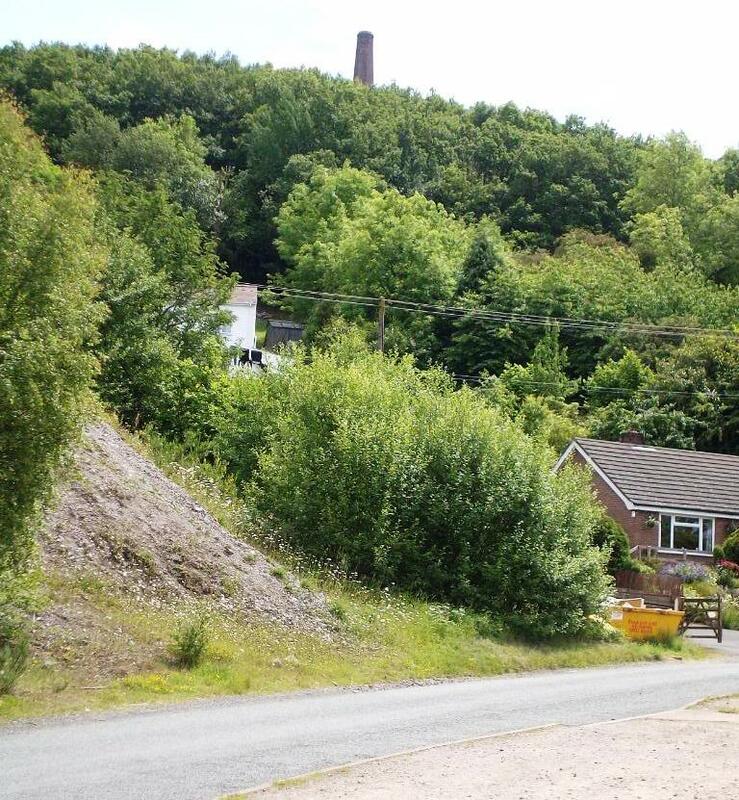 Fifty-one volunteers from Midland Cave Rescue, police and ambulance crews rescued a caver who had become trapped in a disused lead mine at Snailbeach in Shropshire in a six-hour operation, the Shropshire Star reports. The newspaper also links to an audio report of the rescue by a local radio station. The woman, who was brought to the surface at 3.30 this morning, had suffered an epileptic fit and fallen. 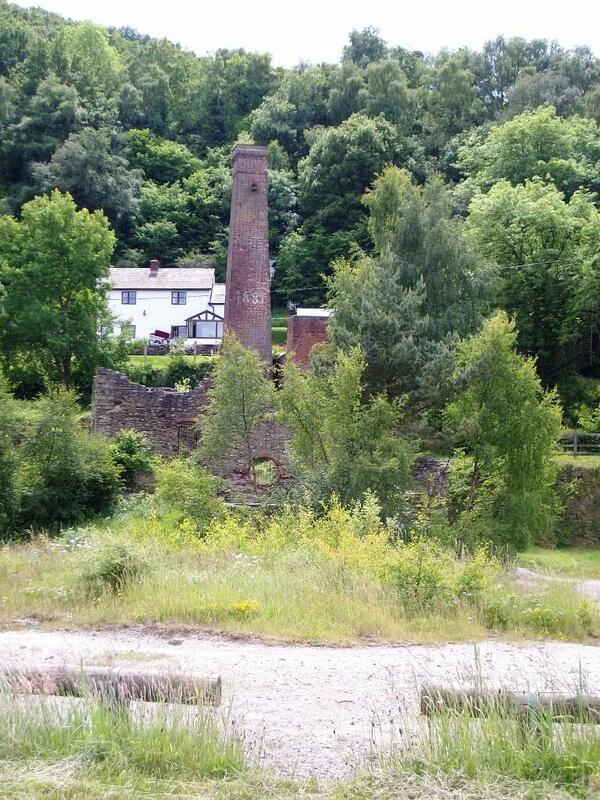 You can discover more about Snailbeach Lead Mine on a website maintained by the Shropshire Mines Trust. This evening's Newsnight carried a report by Greg Palast on the vulture funds that profiteer from the debts of developing countries. 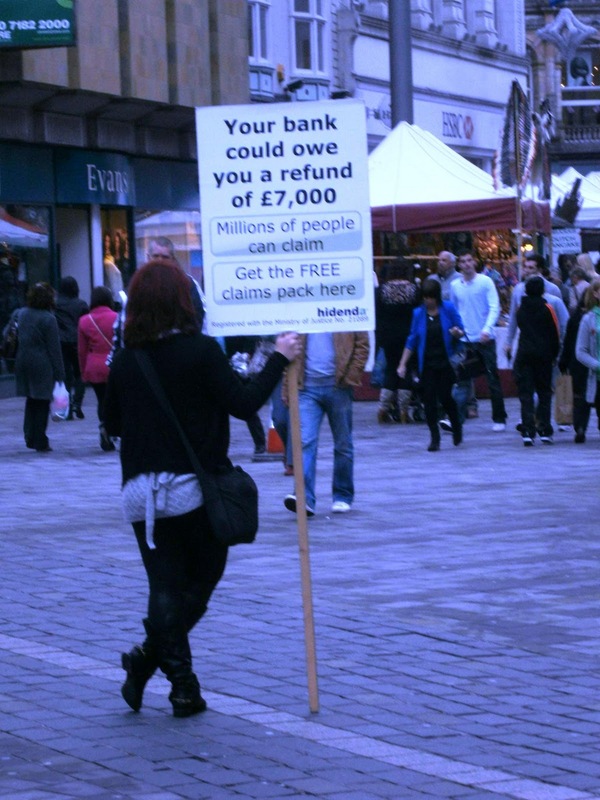 If you saw it and want to join the campaign to stop these funds evading British law by bringing their cases in Jersey, see the Jubilee Debt Campaign site. Like several people I follow on Twitter, however, I was bemused by Palast's decision to dress like a character out of a pulp detective novel. Michael Crick, always a sage judge, writes of "the excellent Liberator magazine". He does so while discussing the decision by the Federal Executive of the Liberal Democrats not to fund any candidates in next year's police commissioner elections and to encourage local parties to endorse independents. I blogged about this myself last month. I keep asking Labour and Tory people whether anyone is interested in fighting for these jobs, and no names are mentioned – apart from Col Tim Collins, who came forward a few weeks ago, and may end up being the Tory contender in Kent. The overall national outcome could be pretty unsatisfactory for those who’ve long backed the idea of police commissioners (including David Cameron, an early champion of the idea). We are heading for lists of very mediocre candidates, fighting almost invisible campaigns, and getting elected on extremely low turnouts. With the possibility of a few rich pickings for UKIP. If the Conservatives are so keen on these elected commissioners - I am not - why are they not keener on fighting the elections? I had a sinking feeling. Sure enough the MP in question turned out to be the Liberal Democrat Stephen Williams. When asked, we Liberal Democrats usually say that we stand above all for individual liberty. But the reality is that some of are always to be found on the side of the argument that wants to curtail liberty for the sake of other desirable goals. The problem is not, as Liberal Vision claims, that Stephen Williams is not a Liberal. It is that we have too weak an idea of what it means to be a Liberal in the modern world. There are parallels with our lack of a clear idea of what Liberal economics look like. 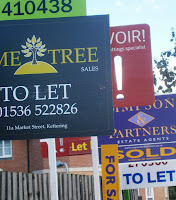 Perhaps we should deliver fewer leaflets and spend a bit more time thinking? City mayor Sir Peter Soulsby is set to get a £44,000 pay rise, it has been revealed. His current wage of £56,000 will jump to £100,000, if the increase is approved by the city council. Sir Peter's deputy, Rory Palmer, is due to see his pay rise by £41,000, from £34,000 to £75,000, while the six assistant mayors are likely to see their annual income rise from £26,000 to £40,000. The remaining 47 city councillors are in line for a 20 per cent pay rise, too, with the basic councillor allowance set to increase from £10,000 to £12,000. The proposals have been put forward by the council's independent remuneration panel and will be voted on by councillors next week. No doubt Leicester's 54 city councillors, 52 of whom are from the Labour Party, will vote against these ludicrous proposals at the first opportunity. Well, it's really called "Members Only", but from 1:30 to 3:30 there is some lovely footage of the National Liberal Club - apologies for the sexist views expressed. The film is dated 1965 and the commentary implies the building may soon be demolished. Fortunately, it was not. I did not know the staircase was rebuilt after the Blitz, but then not may people know that the club's wine cellar is housed in the remains of an early underground railway. And so another week in the company of Rutland's most celebrated fictional peer draws to an end. To St Asquith’s for Divine Service. "And the number of the army of the horsemen were two hundred thousand thousand: and I heard the number of them. And thus I saw the horses in the vision, and them that sat on them, having breastplates of fire, and of jacinth, and brimstone: and the heads of the horses were as the heads of lions; and out of their mouths issued fire and smoke and brimstone. By these three was the third part of men killed, by the fire, and by the smoke, and by the brimstone, which issued out of their mouths. For their power is in their mouth, and in their tails: for their tails were like unto serpents, and had heads, and with them they do hurt. And the rest of the men which were not killed by these plagues yet repented not of the works of their hands, that they should not worship devils, and idols of gold, and silver, and brass, and stone, and of wood: which neither can see, nor hear, nor walk: Neither repented they of their murders, nor of their sorceries, nor of their fornication, nor of their thefts." You know, I don’t think the Revd Hughes is as keen on the Twitter as I am. The Social Liberal Forum is too eager to build a straw man argument against "economic liberals", argues Jock Coats. Barnet Council "has put in the most ludicrous complaint against a local blogger, Mr Mustard ( real name Derek Dishman) to the Information Commissioner claiming he has committed a criminal offence under the Data Protection Act by not registering as a data controller because he has made critical comments about whether some of its officials have real jobs," reports David Hencke. Why is Camarthenshire County Council giving public money to a particularly wacky American religious group? Y Cneifiwr investigates. "The evil child, once confined to folklore and fairy tale, has migrated into the pages of Home Office reports, reborn as the rioter, the gangster and the under-age stabber with no hope, no scruple and, in many cases, no qualification beyond an imagined licence to maim or kill. While the repugnance inspired by offenders such as Mary Bell and the killers of James Bulger remains potent, the violent child is no longer regarded as a rarity. The aberration is becoming the norm." A powerful article from Mary Riddell in the Daily Telegraph. Go Litel Blog, Go... takes us to the Midland Railway War Memorial in Derby. Jean Saunders, 65, of Longcot, hopes to speak at the inquiry as secretary of the Jefferies Land Conservation Trust, which has suggested alternative plans to protect the site as an educational nature reserve. “We’re going to be bringing to the table a whole host of other concerns we raised,” she said. 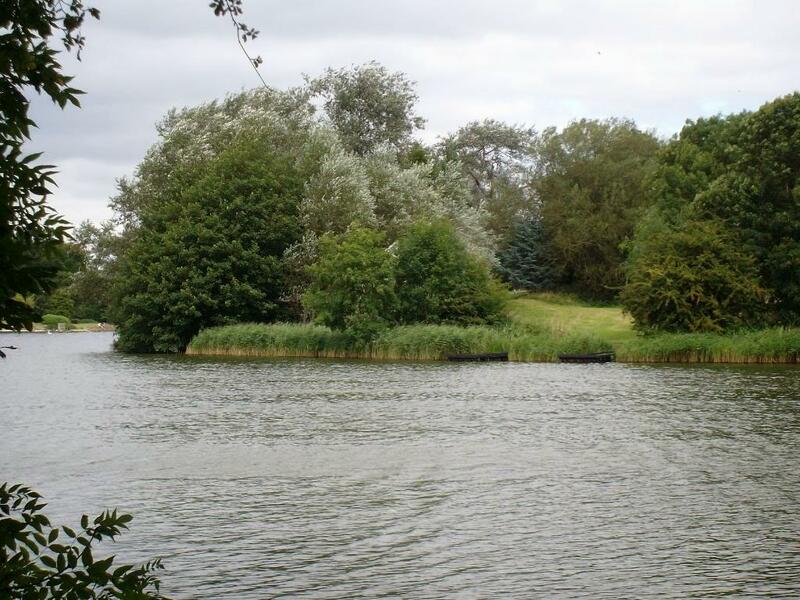 “Obviously there’s this issue of precedent – if planning permission is granted for this, it will just set a precedent for infill between the development and Coate Water itself. “We’re going to be arguing strongly a case for protecting Richard Jefferies’ literary landscape. “The third matter is protecting certain spaces that are within the area. "Jefferies Land" refers to the Victorian writer Richard Jefferies, about whom I wrote a Masters dissertation in the 1990s. You can read more about Jefferies and Coate in a guest post that Rebecca Welshman wrote for this blog back in August. Our week at Bonkers Hall reaches its penultimate day. No Good Liberal will have cared for all those ‘security precautions’ at our Birmingham Conference – passport numbers, police with automatic weapons and all that rot. "There are people out there who want to do us serious harm, there are people out there who want to kill us,” said one fellow in defence of them. That, however, was also true of the SDP in the Alliance years, and we never went to these extremes then. I fear we have lost our sense of proportion in recent years. The Third Man emails me: "Peter was a friend over 45 years. He was a great Liberal. If you think it valuable for non cricketers and cricketers alike to see him through this perspective..."
So let me send you to the piece he has written on his blog Down at Third Man. Six months ago Dave Wood wrote a guest post for this blog about Creative Perambulations, his project to mark and celebrate the ancient boundaries of Sherwood Forest. Dave has written to say that he ended the walking section of Creative Perambulation on 5 November with the planting of two trees in Nottingham. Both have been grown from the Major Oak, generally regarded as the heart of the forest. By the end of the day, 23 people had come along to help and to be part of the process; one tree planting was at the Victoria Embankment and the other at The Hook Nature Reserve in Lady Bay. The latter tree was donated by the Sherwood Forest Trust. Both trees were nurtured by Sherwood Pines Partnership Tree Nursery, a partnership between the Sherwood Forest Trust and Nottinghamshire Country Council. The nursery enables adults with learning needs to gain work experience, increase their confidence and live a more independent and fulfilling life. There is currently a consultation document on the council's website that invites the public to respond to potential cutbacks to the Supported Employment Programme (closing of the nursery is one of the possible cuts suggested). 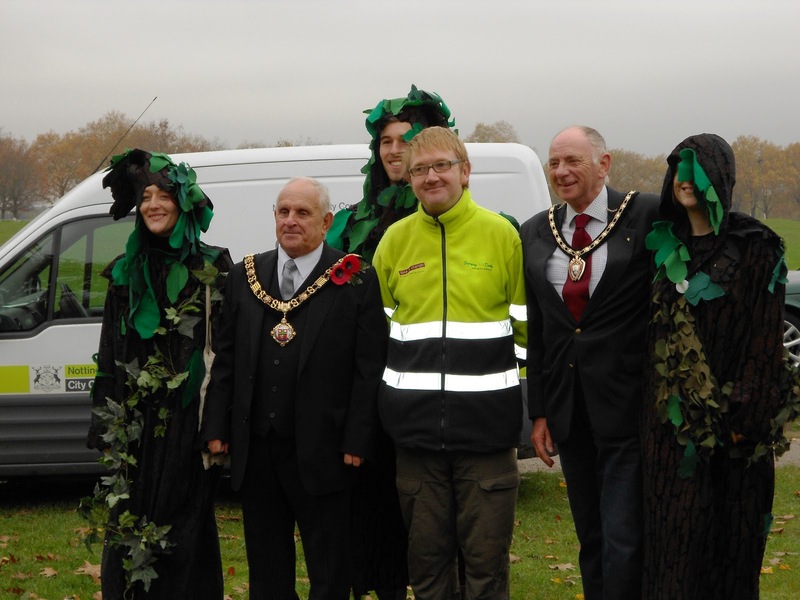 The picture above shows David with the mayors of Nottingham and Stapleford, together with three human trees from The Woodland Trust who came along and gave away eight trees at the final planting. A look at today's modern high-rise offices from 1963. Worse players represented England in the 80s. In 1989, with the national side in chaos, the coach and captain at Somerset were asked to suggest a replacement for the Edgbaston Test against Australia. We recommended Roebuck, who was in superb form; the selectors opted to recall Chris Tavaré. Roebuck might not have been the comfortable choice. At the time he would have been the right one. A fifth day in the company of Rutland's most famous peer. Though they are too independent to be much use on the hunting field, I have a soft spot for cats – I recall giving a scientist fellow called Schrodinger the bum’s rush after he tried carrying out an experiment on the stables tabby. Because of this, I have long been a donor to the Battersea Cats Home (a sort of Home for Well-Behaved Orphans of the feline world) and was delighted to see one of our alumni, Larry, employed as Official Mouser at 10 Downing Street. When he adds ”Mind you, you should ’ear the language he uses about that Foxy geezer,” I realise that I may have found a substitute for the tramps of St James’s Park. extraordinary that Janis Ian still sounds as remarkable today as she did back in the late 60s and early 70s. From the outset Ian has the audience captivated and they hang on her every word. Renowned as one of the great American songwriters, it would be an injustice not to add “storyteller” to that title. Almost every song of the evening is accompanied by an anecdote told with such heartfelt emotion, you might have been right there with her when it happened. even if she has never heard of the Strathpeffer Pavilion. So that is a good reason to choose her most famous song, which was a no. 1 in American in 1975. It doesn't seem to have been a hit at all over here, yet I remember it being widely played on the radio and this performance appears to have been taken from a Shirley Bassey show, which would have been in prime time in those days. More about Janis Ian on her own website. I may have been a little short with him after that, but who can blame me? My old friend Nelson Mandela spent his wilderness years imprisoned on Arjen Robben Island; he did not spend them appearing on ‘Celebrity Coach Trip’ alongside Michael Barrymore, John McCririck and someone called ‘Wagner’ from something called ‘The X Factor’. (That said, if any television producer wishes me to appear, a letter sent to the House of Lords will find me). Focus on Bar Hill celebrates progress in Belinda Brooks-Gordon and Sal Brinton's campaign to win a fairer deal for part-time university students. "If you are charging for your work, you have an obligation to be professional." Andrew Hickey on the ethics of self-publication. 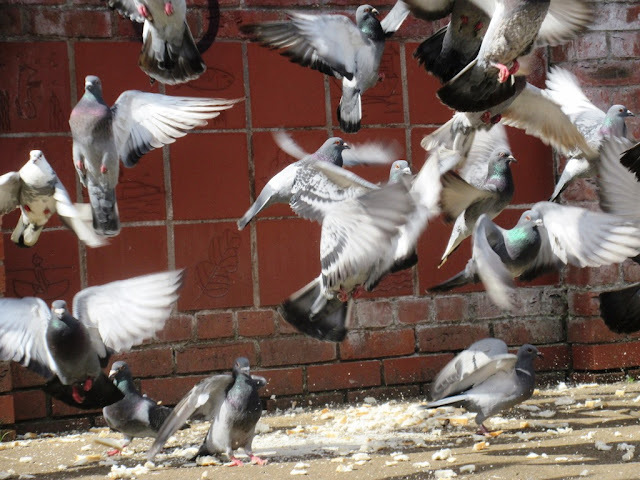 A cautionary tales from the New York Times: "Soon my entire life revolved around tweeting. I stopped reading, rarely listened to music or watched TV. When I was out with friends, I would duck into the bathroom with my iPhone. I tweeted while driving, between sets of tennis, even at the movies." The announcement that Newcastle United’s St James Park is to be rechristened ‘The Sports Direct Arena’ should alarm even those who don’t like football, argues Steve Akehurst on LabourList. Leicester was a considerable Roman city several centuries before Nottingham was even a collection of huts by the Trent called "Snottingham". 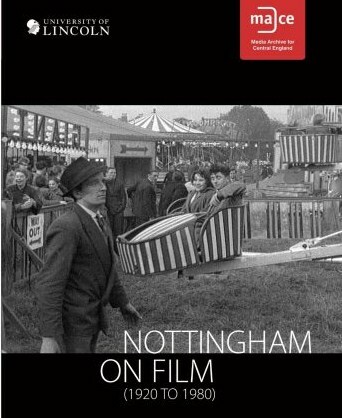 But let us be magnanimous and welcome the forthcoming release of a two-disc DVD of archive film of Nottingham by the Media Archive for Central England. Our Liberal Democrat News Story of the Day award goes to the Daily Mail. Rutland's Liberal Democrats want to reassure voters that they had nothing to do with a proposal to create a new Rutland and Corby constituency. A public consultation is under way into plans to cut the number of parliamentary constituencies by 50 to 600. In September the Boundary Commission said it had no plans to change the Melton and Rutland constituency but last week the East Midlands Liberal Democrats revealed its own proposals which includes a Rutland and Corby constituency. Vice chairman of the Rutland and Melton Liberal Democrats, Grahame Hudson, said the local group had nothing to do with the plans. He said: "I have no idea why we weren’t consulted on the proposal but we are totally against what the East Midlands Liberal Democrats put forward. 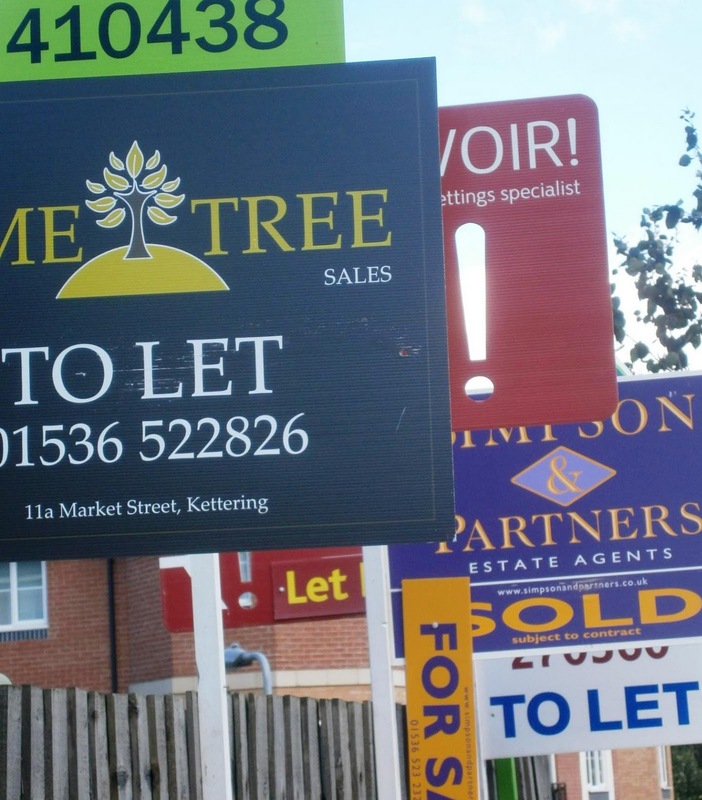 "It makes no sense because there are no traditional links between Rutland and Corby." The truth is that nowhere has "traditional links" with Corby. 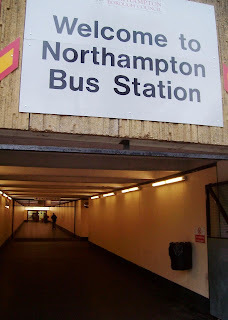 It is a steel town set down in the Northamptonshire countryside in the 1930s and a large proportion of its workforce came from Scotland - walked from Scotland, if you believe the folklore. The present Corby constituency also contains wide swathes of countryside, and the seat's high-profile Tory MP Louise Mensch lives in the pleasant town of Oundle rather than Corby. But then when the iron and steel trades unionist Bill Homewood was Labour MP for Kettering, in the days when the seat included Corby, he lived in a bungalow here in Market Harborough. The Liberal Democrat mayoral candidate, the same man who was trounced with little more than 10 per cent of the vote the last time he went up against the big two, Ken and Boris, insists, this time, he is not here to make up the numbers. "You are going to see a different Brian Paddick - I am better prepared and ready for the fight," he says. The fashion nowadays seems to be to appoint prop forwards to conduct inquiries. Fran Cotton is to consider whether or not Market Harborough’s most famous son, Martin Johnson, should be allowed to stay in charge of the England rugby XV, while Gareth Chilcott is currently working on his report on the United Kingdom’s role in the Iraq War. In the latter case at least, I think this is an excellent idea – particularly after Len Hutton’s bosh shot at investigating the death of Dr David Kelly. No one who saw Roger Alton's attempt to defend the Murdoch empire on Newsnight this evening will forget it. Puce in the face, sweating like a pig, spouting nonsense. It was sad to see a man brought so low. No doubt it will appear on Youtube soon. Until it does we will have to make with his appearance on Channel 4 News earlier this year in which he blamed Mumsnet for the closure of the News of the World. By contrast with his performance tonight it is a model of calm rationality.